Veggies has been at Glastonbury since (about) 1987! 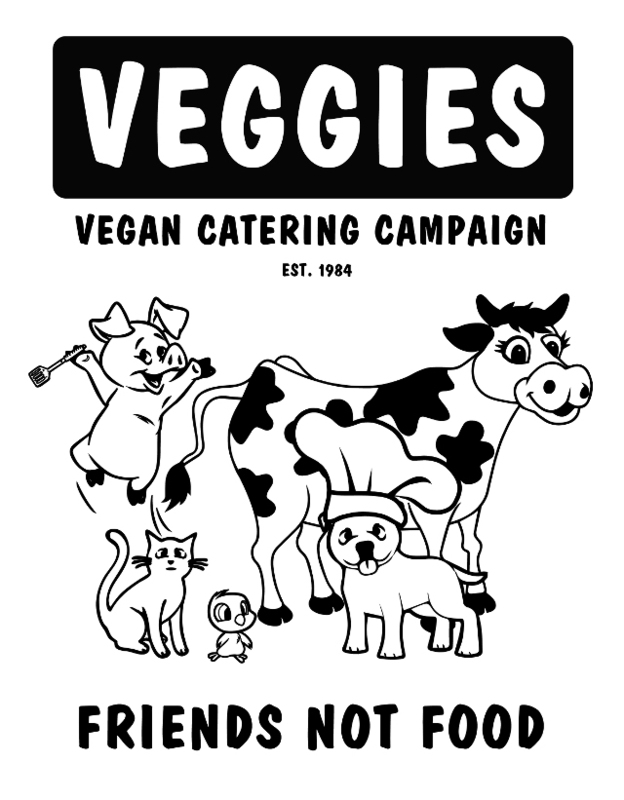 Veggies Catering Campaign will cater at Glastonbury Festival from 9am Wednesday to 6pm Monday, in the Green Futures Field, at the opposite end of the site from the Pyramid Stage, towards the ‘Stone Circle’. Every year we give over a share of our space, and some of our crew, to running an information/workshop space with displays and activities in support of active groups working for positive social change. Our workshop space has to be paid from our trading fee (£4,632 in 2014), whilst providing crew to run the activities means we have to close for a few hours each day. Our core times are likely to be 10am to 4am, with the interactive space running from 10am to 6pm. For more campaign presentations check out the Speakers Forum. As is the long standing tradition, no doubt we’ll gatecrash a few Seize The Day gigs for a campaign shout out! The Green Fields are at the opposite end of the site from the Pyramid Stage, towards the ‘Stone Circle’; cross the ‘Old Railway Track’ – Green Futures is on the right. Those in the know, know that the field is packed full of venues, spaces and healthy food. There is Groovy Movie, The Mandala, Small World, Permaculture, Henry’s Beard, A pedal powered Laundrette, Rinky Dink, The Tin Village, Lunched Out Lizard, Speakers Forum, Astrologers amongst many. “Not to mention the World’s finest Vegan Burgers from the Veggies Catering Campaign”. Veggies has catered in the Green Fields at Glastonbury Festival since 1987. In 1990 tickets cost £38, our trading fee was £600 & our burgers cost £1.00. In 2014 tickets cost £210+fees & our trading fee was £4,632. Sorry, Veggies burgers in 2015 will cost more than £1.00! Please describe the food you wish to sell from your stall. Ethically sourced vegan foods, including our own hand made Veggies burgers, cakes baked on site from organic ingredients, pasties & samosas baked on site, organic &/or fair trade soft drinks, fair trade organic teas & coffee. As all Veggies food is vegan it is accessible to the most people in terms of dietary, cultural and religious requirements. Gluten-free’ requests are usually satisfied following a discussion of the customers needs, ranging from ‘wheat-reducing’ to coeliac (for which we advise caution). Have you traded at Glastonbury before? 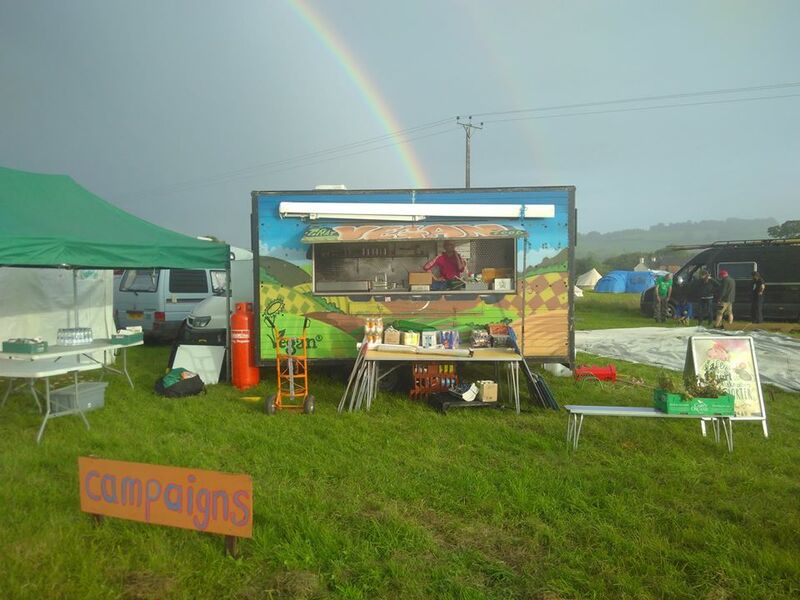 We have traded at Glastonbury Green Futures since 1990, using our award winning vegan / organic / fair trade catering as a base for campaign outreach for the many groups with whom we work. In 2013/4 we were at pitch Q1/32 [Green Futures Field at junction of Old Railway Track with pathway to the stone circle] which worked well for us, other than suffering from the river that runs through in the event of rain. In the 90’s we used to trade 24hrs daily. In more recent years we have found that Green Futures is not as busy through the night so we’ve traded 10am – 4am. With sufficient crew we would like to try to go 24hours again. Have you traded at any other festivals in the past 2 years? Glastonbury is the only ‘commercial’ festival at which we cater, other than Ashleyhay community festival and Nottingham’s No Tomorrow Festival. 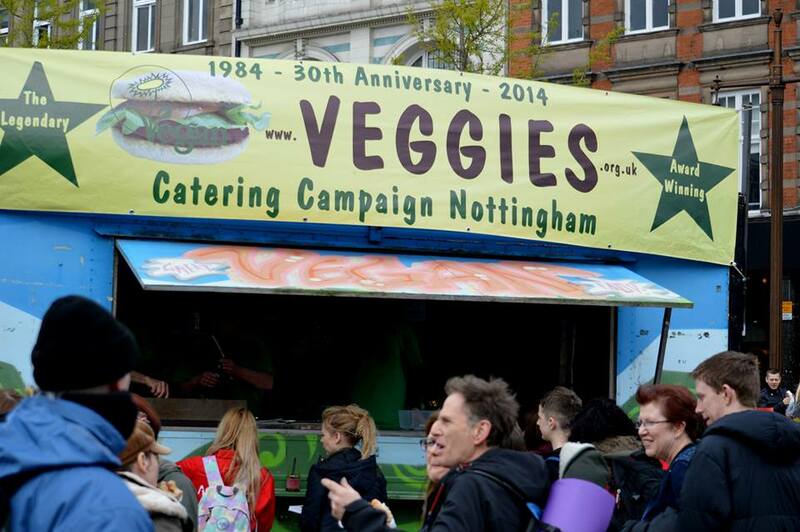 We cater over 70 other events each year: green events (eg Nottingham Green Festival / various Green Gatherings), action camps (eg Peace News Camp / Cooperative gatherings), indoor fairs (eg Animal Aid Fair / London Radical Bookfair), local community events (eg stuff of Life) and on-the-streets campaign catering (eg People’s Climate March / Frack-Free rallies). Please tell us about anything special or unique your stall would bring to the Festival. Many consider Veggies to be one of the most ethical caterers on the circuit, with policies developed from 30 years experience in organic / fair trade / pure vegetarian catering and guided by feedback from customers and supporter. Veggies promotes the use of vegan, fair trade, locally sourced and organic products. Since 1984 we have never sold other than fair trade teas & coffees. We use minimal packaging and reusable mugs. All the compostable packaging generated by Veggies would fit into one bin bag. In 2014 we recycled everything, including tricky things (eg plastic wrap, tetrapacs) which we take home with us is appropriate! Next time we aim to make this more visible. We are three times winner of the Best Vegan Catering Award and 2014’s ‘Best Caterer Serving Vegan Food’ Award Winner. We received the Glastonbury Green Trader Award in 2011. But we are not just about catering. A gatherings such as Glastonbury we run ‘information for action’ campaign cafe spaces to share information to help customers make active choices for a more sustainable future. 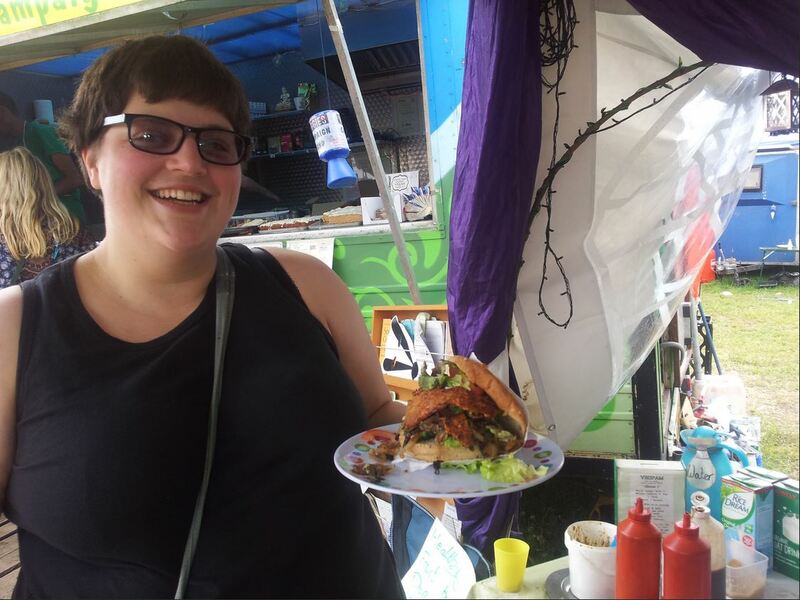 The Festival is committed to providing affordable, quality food and would like to be able to offer Festival goers ‘Food for a fiver’ in the form of a meal from a number of stalls onsite. We would be happy to participate in this scheme, offering a Veggies Burger & hot drink; or Pasty, cake & any drink. Glastonbury encourages festival goers to travel to the Festival using public transport and as a reward asks that traders offer something in return. Veggies will be delighted to support this scheme. See also Green Glastonbury info. Spread the Word : Retweet this page!